Fatoumata Camara, a Guinean with a physical disability, is the Deputy Coordinator for the Association of Persons Living with a Disability of Mamou, Guinea. A brief Q&A with her is available below. What has been your role in the disability rights community and how long have you been involved in this work? I am the deputy coordinator of The Association of Persons with Disabilities, which is a regional branch of the Guinean Federation of Disabled Persons (FEGUIPAH-Fédération Guinéenne pour la promotion des Associations de/ou des personnes Handicapées). As deputy coordinator, I participate in the development, organization, and implementation of activities aiming to reduce the number of persons with disabilities who rely on begging in order to meet their daily needs. What has been a major accomplishment of the disability rights movement to increase community involvement and political participation? There are very few statistics on the situation of persons with disabilities, but the support of the movement brought, to a certain extent, a global awareness, as well as facilitated the participation of persons with disabilities in the electoral process. The activities of the association has revitalized the confidence of disabled persons in navigating the electoral process. 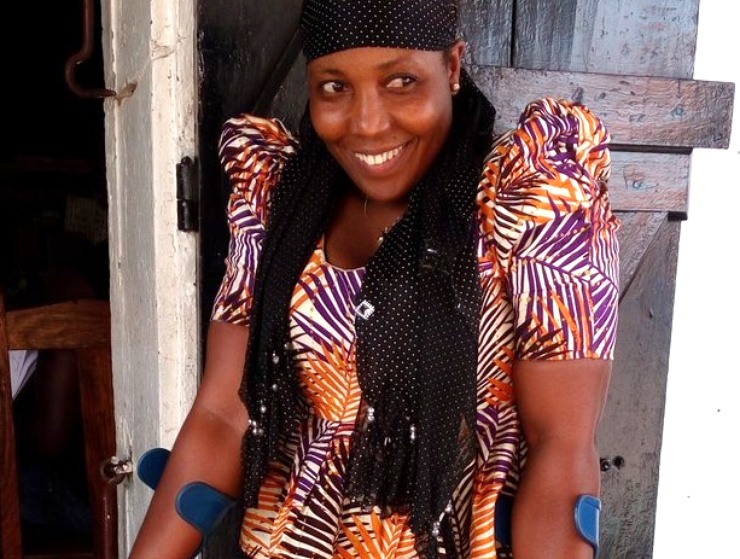 What do you see as the top two barriers to electoral or political participation that Guineans with disabilities face? While persons with disabilities are physically present in the community, the biggest obstacle is that they are often judged on the basis of their disability. In addition, the lack of means to implement initiatives and the poor appreciation of persons with disabilities by communities and electoral authorities are big obstacles as well. How has civic education played a role in reducing barriers to electoral access of persons with disabilities? Civic education was, for us, an approach where we aimed to implement a reflection framework in order to define a coherent strategy and play an important role in the electoral process, in addition to reduce the obstacles which prevent the participation of persons living with a disability. If you could make one change that would increase inclusion, what would it be? If I could make a change, it would be to base the work of the association on the strengthening capacities and awareness in order to deconstruct prejudices and stereotypes of persons with disabilities. I would like to make the social realities of persons with disabilities understood by the general population.